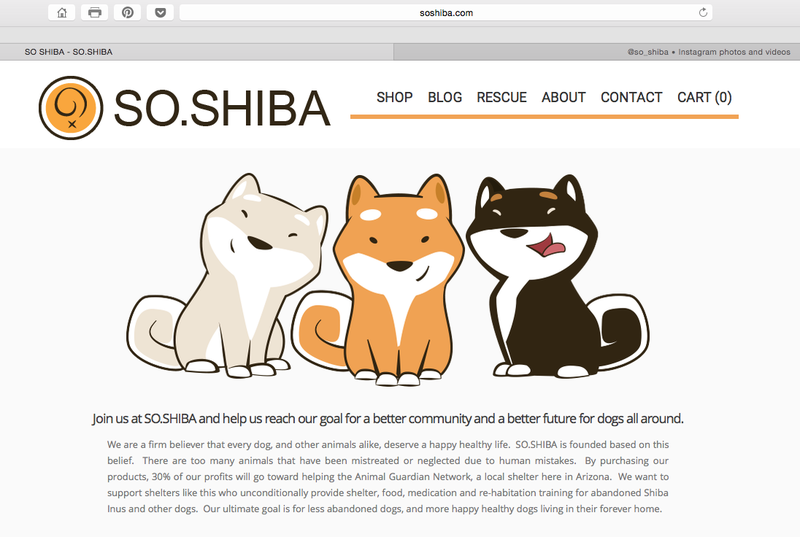 Recently, I became a part of the SO.SHIBA family, a website that promotes animal responsibility, rescue, & community outreach from Arizona & beyond. This is a great website that really takes pride & loving care in rescuing Shiba Inus & their pet pals as well as offering cute Shiba-inspired products for pet lovers all over. SO.SHIBA is a small family consisting of four animal lovers & two super cute Shiba pet pals (Ebisu & Takumi)! They are a part of the Community Awareness Responsibility Excellence project (C.A.R.E.). SO.SHIBA works with TumbleTees, a non-profit organization who works to fight youth homelessness in Phoenix, Arizona. TumbleTees equips the youth homeless community with self-help & employment skills, so they can stay off the streets. When you make a purchase at SO.SHIBA, a portion of the proceeds with be donated to a Shiba Rescue organization that helps animals in need & educates about animal care/responsibility. Please help in any way you can! Check out the SO.SHIBA website for information on how you can help rescue a Shiba pet pal, or make a purchase to help rescue a pet pal! To find out how you can help rescue a Shiba pet pal or any inquiries about the Shiba Rescue organization, contact: info.soshiba@gmail.com. Spread the love & community spirit, & don’t forget to follow SO.SHIBA on Instagram (@so_shiba).